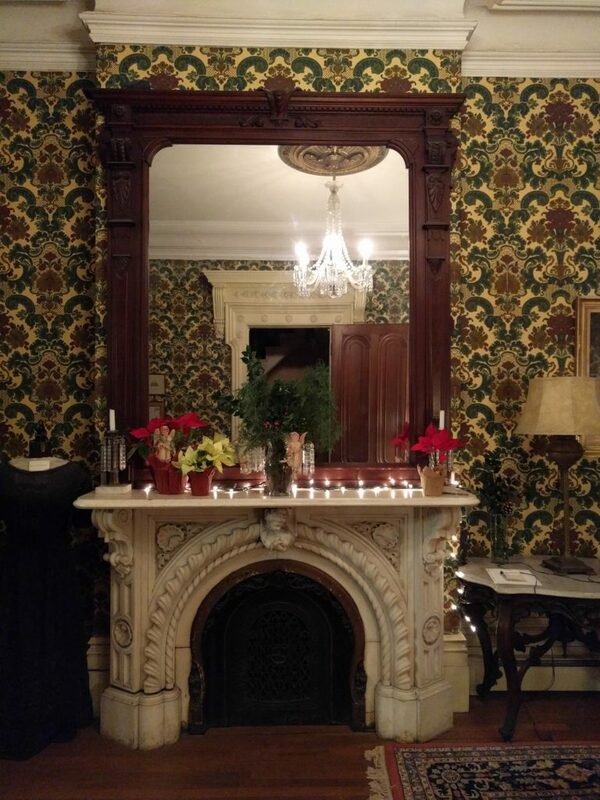 The elaborate townhouse at 532 Massachusetts Avenue has served as the South End Historical Society’s home since 1974. Unlike many South End rowhouses, the name of the architect, Luther Briggs, Jr. [1822-1905], was known because original drawings of the house have been preserved in the archives of Historic New England (formerly SPNEA). Reproduced in numerous books and articles, these handsome drawings are among the most famous nineteenth century rowhouse elevations in New England because of their quality. Prominent business and shoe manufacturer Francis Dane and his wife Zervia were the proud first owners of the ornate townhouse at 65 Chester Square, as it was known in the nineteenth century. Francis Dane was born in 1818 on a farm in Hamilton, Massachusetts. As a teenager he entered the boot and shoe manufacturing trade, leaving Hamilton at the age of 17 to set up shop in Danvers, while moving his residence to South Danvers at the same time. He was highly successful in his field, and his manufacturing facility grew rapidly over the years. He eventually took on William H. Wheeler and Henry Emmons as partners, and they called their company Dane, Wheeler & Company. In 1857 they moved their offices from Danvers to 45 Kilby Street in Boston, becoming agents for the Howard Rubber Company at the same time. Dane kept his residence in South Danvers for several more years, maintaining his ties with Danvers, where he was a director of the Warren Bank, but he must have tired of the commute to his Kilby Street offices fairly quickly. In March of 1860 Dane purchased the newly constructed house and land at 65 Chester Square from Paul Dean Wallis for $20,500, a very high sum for the time. Wallis had purchased the lots at both 63 and 65 Chester Square from the City of Boston in 1859, paying less than $3,000 for each of them. Wallis hired Luther Briggs, Jr. to design a house for the lot at 63 Chester Square, which is actually the one shown in the SPNEA renderings. Wallis then repeated this design on the adjacent lot, with minor modifications to reflect the different degree of curve in the front sidewalk. Wallis also added octagonal glass observatories to the roofs of the two houses, a feature not seen in the Luther Briggs renderings. The high price Dane paid for his new home reflected the desirability of the fashionable Chester Square address, as well as the size and unusually high level of finish in the house. The enormous double parlor and dining room with 13-foot ceilings are the most striking features of the interior, with unusually detailed round-headed windows on the front. The interiors are one of the high-style examples of the Victorian rococo revival to be found in the South End. 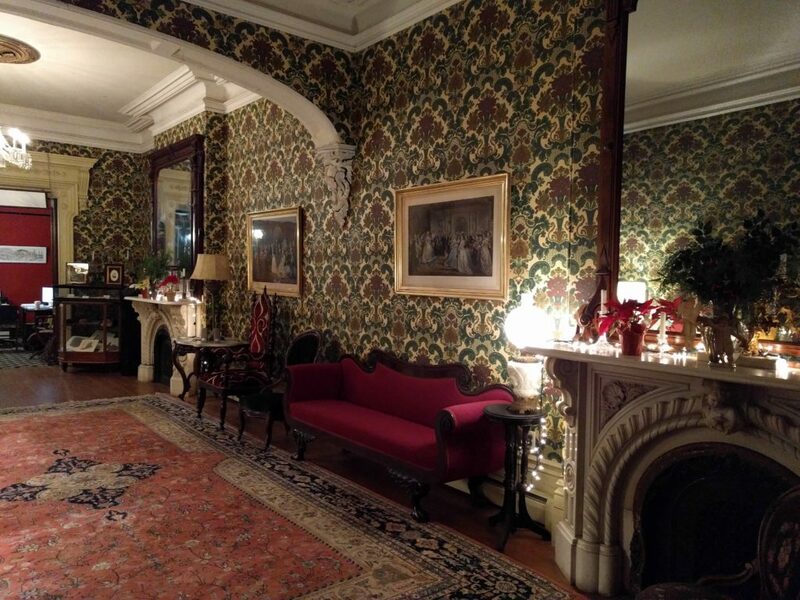 Although the original wallpapers, wall-to-wall patterned carpets and draperies no longer survive, visitors today can still enjoy the beautifully carved Carrara marble mantelpieces, as will as the remarkably well preserved woodwork and plasterwork. There is a servant’s stair connecting the lower three floors that is larger and more elaborate than the main stairs in many South End homes. The cut-glass transom over the front doors and the cut-glass doors separating the servant’s stair from the parlor floor are beautifully detailed features seen in only the most expensive Victorian homes. 65 Chester Square’s exterior has survived in nearly original condition, the only major change being the loss of the original observatory on the rooftop. Once a common South End sight, these decorative flourishes that allowed owners to climb up for a view of the city have been lost on most homes due to their constant exposure to the elements. Only the base of our observatory still survives, and can be seen from across the street. The house’s “French” roof, described today as a mansard roof, had just appeared as a fashionable new style in 1860, although it soon became the norm for Boston rowhouses. The facade’s deeply carved brownstone trim ornaments one of the most elaborate examples of the popular picturesque-style to be found on a brick bowfront in the South End. Francis and Zervia Dane enjoyed their new home to its fullest. Although they had no children, “Frank” and Zervia entertained frequently and were remembered by friends as being the most congenial of hosts. In addition to his boot and shoe company, which he reorganized as Francis Dane & Company in 1859, Dane was also very active in banking. He became a Director of Boston’s National Exchange Bank, and was instrumental in establishing the Boston Safe Deposit and Trust Company, of which he was chosen Vice President. Along with many of his well-to-do brethren, Dane also invested in real estate. He was the owner of the Star Springs in Saratoga, New York and had large real estate holdings in Evansville, Indiana. In 1874 he also purchased the Atlantic car works in Salem, which had just gone out of business. Like most wealthy Bostonians, the Danes spent their summer months in the country. Francis Dane had maintained his family’s farmhouse in Hamilton as a summer retreat from the city’s heat. While staying there on July 31st in the summer of 1875, he succumbed to an “attack of apoplexy” at the age of 57 years. His obituary was prominently featured in all the Boston papers, where he was remembered as being “highly respected for his business ability” and as one whose “opinion and advice were often sought in financial and mercantile affairs.” Zervia continued to live in the large house at 65 Chester Square for many years, showing up as late as 1890 in the city directory. Francis & Company, as his company came to be known, continued in the boot and shoe business at 112 Summer Street for many years to come. Copyright South End Historical Society. All rights reserved.